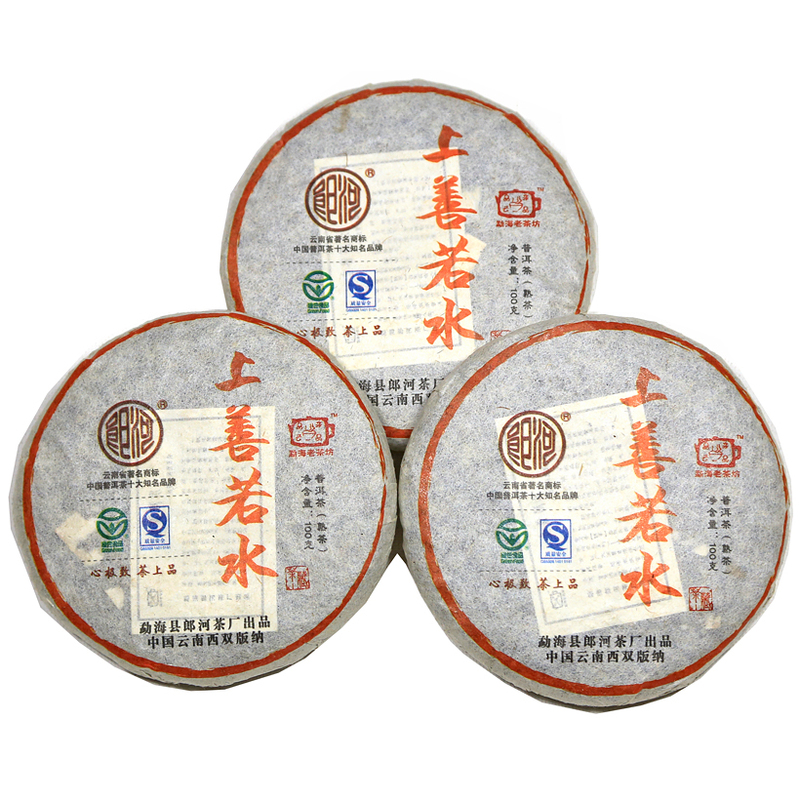 This beeng cha was made by the Menghai Langhe Tea factory from high quality materials (1st, 3rd and 5th grade leaf) gathered and fermented in 2008 and pressed in 2009. The raw materials came from an ecological tea garden and the cake is a tribute to the environment: mountain and river. The mao cha was given a medium fermentation. Overall, the flavor is brothy and beefy with hints of barley, chocolate and black grapes. The mouth feel is creamy and smooth and the aroma is earthy with a bit of mushroom. This is a nice cake for drinking now or for setting aside to age and improve.